Ever wonder how fellow attorneys make it through their day? Are there tips and tricks you wish you knew? We have interviewed solos from across the state to share their hard-earned lessons that might help you practice too. First up in our series, meet Lauren da Cunha. Lauren is a native of Michigan and earned her Bachelor of Arts at the University of Michigan. She graduated from Northeastern University School of Law. 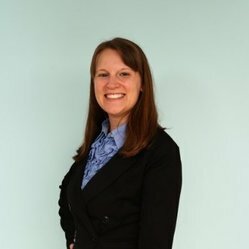 Lauren is the coordinator of the Westminster CBA Solo Small Firm networking group. 1. What are your areas of practice? I practice transactional estate planning (Trust and Estates). 2. Is there such a thing as a typical day for you? Not really. I don’t have a set day for drafting or meeting clients, for example. I am also constantly trying different networking groups. I try to plan one to two weeks in advance but networking meetings comes up all the time, so I often have to be flexible and change my plans mid-week. 3. Where do you practice? Do you have a stand-alone office or home office? I have a home office and travel to my clients for all our in-person meetings. 4. What is the most rewarding thing about having your own practice? I love that I get to run my practice exactly the way I want it. I don’t have to meet anyone else’s expectations. 5. What are some of the challenges about having your own practice? Being a solo can be very isolating, even more so since I have a home office. It is also hard not to take work “home” with me, since it’s always a room away. 6. What are your must-have tech tools/apps? I use my google calendar all the time and have recently started using Trello. I find it so helpful seeing all my tasks in one spot. 7. How do you market your practice? How do you find new clients? My marketing right now is word-of-mouth and referrals from past clients. I am gearing up to starting blogging on a weekly basis, which will be a cornerstone of my marketing plan. I network a lot. I have found that I get the best results from non-legal networking groups. 8. When and where do you interact with other attorneys? I am on both the Arapahoe County Bar and Aurora Bar boards and attend their events. I am Vice Chair for the New Lawyers Subcommittee of the CBA Trust and Estate section and attend the monthly Trust and Estate section meetings. I also try to attend a couple Solo/Small Firm events each month. 9. How do you stay informed with legal news/developments? CBA newsletters, the CBA Trust and Estate section meetings and staying up on my CLEs. 10. If a fellow attorney decided they wanted to start their own practice, what is the one thing they should know? It’s a lot of hard work, but ultimately very rewarding.